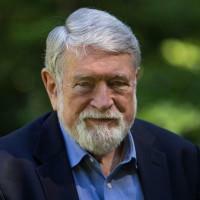 David Korten was an insider in the development establishment for several decades. He worked for the Ford Foundation and USAID and taught at Harvard University’s Graduate School of Business. Having severed his ties to the past, today he is a leading voice for economic and social justice. He is co-founder and board chair of YES! magazine. He is the author of When Corporations Rule the World, The Great Turning and Change the Story, Change the Future.